Grandparents, join us for the inaugural event of the new Grandparents Ministry at St. Philip's! As grandparents, we want to be intentionally involved with our grandchildren by being present for them both emotionally and spiritually. Come hear what other grandparents—across the country and in our own diocese—are doing to reach their grandchildren for the Lord. Many find that having broken families, long-distance relationships, and other challenges keep us from being effective guides. 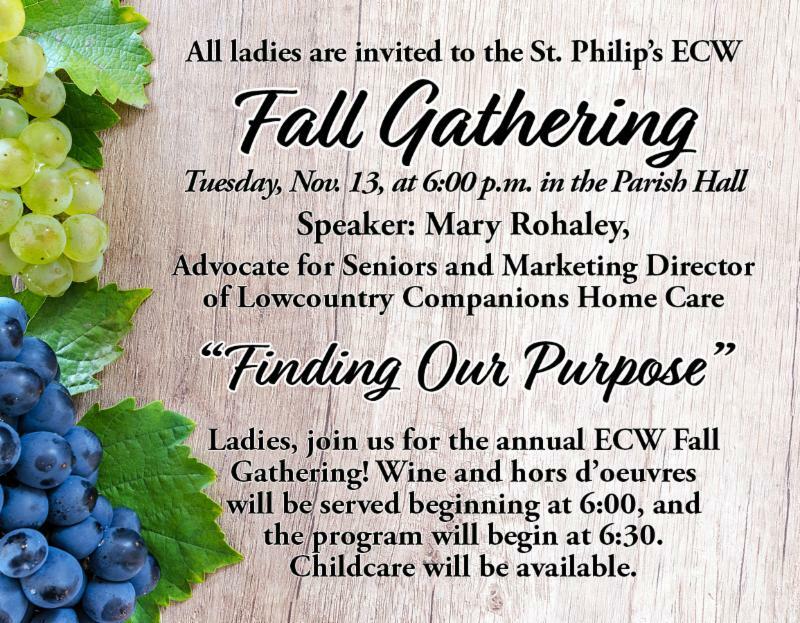 A light supper will be served, and Lynn Land will facilitate a conversation with Cathy Jacobs, grandmother of five and founder and executive director of Pass the Legacy Ministry. Jacobs helped to birth this ministry in our diocese, and she is the author of "Pass the Legacy: 7 Keys for Grandparents Making a Difference." Please mark your calendars for this fun and informative evening, and to help us estimate a head count, please email Lynn Land to let us know you're coming (but if you can join us at the last minute, please do!). 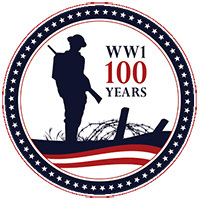 WASHINGTON DC: The World War One Centennial Commission, along with the Pritzker Military Museum and Library, the Society of the Honor Guard of the Tomb of the Unknown Soldier, the American Legion, and the Veterans of Foreign Wars, today announced BELLS OF PEACE: A WORLD WAR ONE REMEMBRANCE. 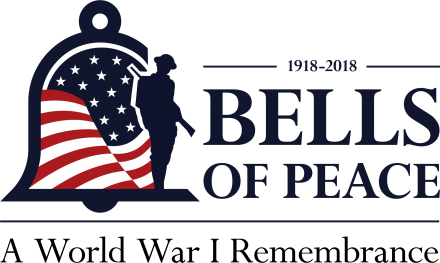 BELLS OF PEACE is a collaborative program, whereby American citizens and organizations, across the entire country, are invited to toll bells in their communities twenty-one times on Sunday, November 11, 2018 at 11:00 a.m.local time. Conceived and designed in collaboration with the nation’s veterans of service with the Honor Guard at the Tomb of the Unknown Soldier, the bell tolling provides a solemn reminder of the sacrifice and service of veterans of World War I, and all veterans. This nationwide program is designed to honor those American men and women who served one hundred years ago, during World War One. The war ended by an armistice agreement between the warring countries at 11 a.m. on November 11th, 1918. ﻿St. Philip's Church is honored to participate in Bells of Peace. Our bells will toll 21 times at 11:00 a.m. this Sunday, November 11. This Saturday, November 10, 10:30 a.m. - 12:30 p.m.
St. Philip's youth (6th grade and up), join your youth minister, David Gilbert, and your friends this Saturday for the fall youth service project! Meet at the Horse Lot on Chisolm St. downtown at 10:30. 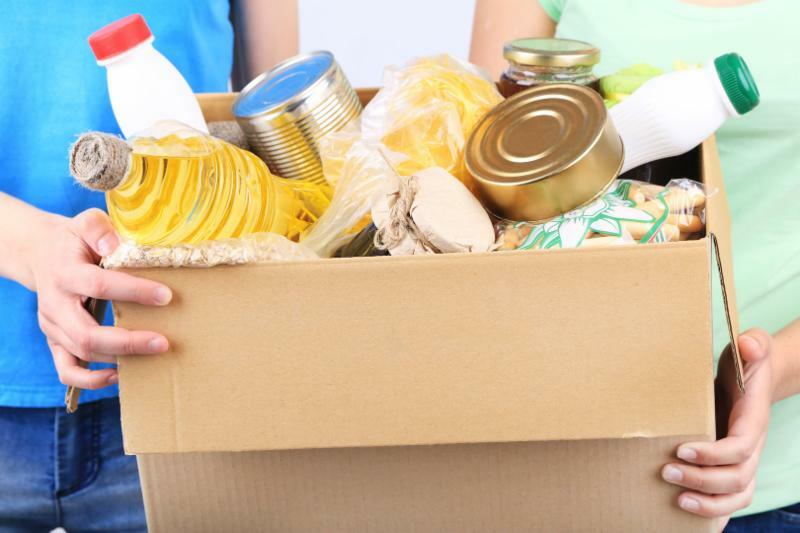 You will go door-to-door collecting canned goods to help stock the pantry shelves at Tricounty Family Ministries, one of St. Philip's home missions. Devoting this small amount of time can make a big difference in the lives of Charleston's impoverished families, who might have an especially difficult time during the holidays. Please help! Don't miss out! 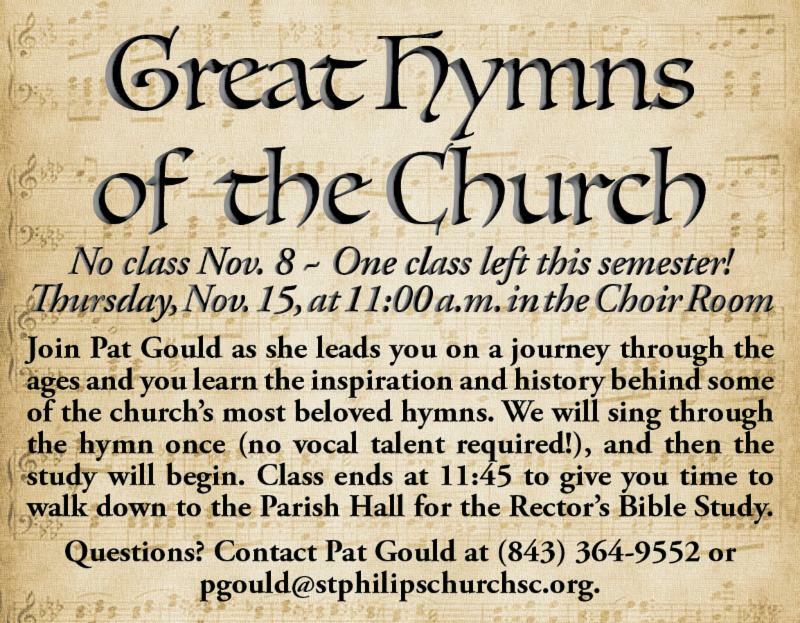 To join the youth events mailing list, email David Gilbert at dgilbert@stphilipschurchsc.org. 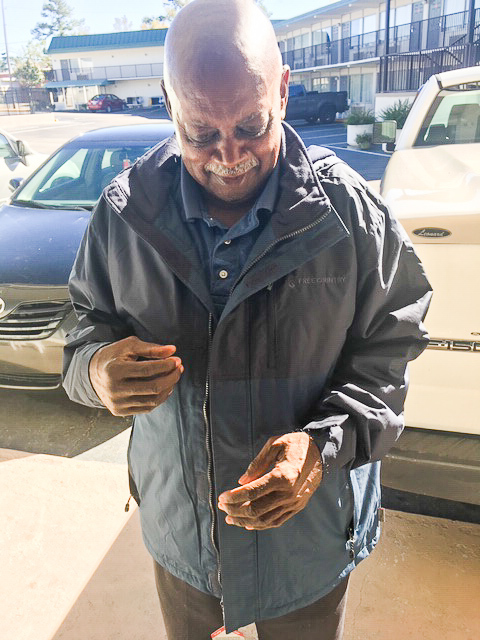 Thanks to donations from St. Philippians and funding from our Home Missions Committee, five displaced families from Bucksport, SC, have temporary housing secured for the next five weeks and warm coats as they continue to work to make their homes inhabitable. St. Philippians also donated coats, sheet sets, diapers, and more, and when Tricounty Family Ministries ended up with more baby food than they could use or store, our Home Missions Committee suggested it be put to use in Bucksport and got Tricounty in touch with Joanna Ghegan, who is heading up St. Philip's Hurricane Florence relief efforts. Marnie Kerrison, a regular volunteer at Tricounty, delivered the supplies to Bucksport along with her husband, John, when they were on their way to Conway to help "mud out" homes this past weekend. Karin and Bob O'Callaghan helped with cleanup this past weekend and the weekend before, and Karin said that there was work for all ages and abilities — one day she mostly swept debris and another she used a small sledgehammer to take down a mold-covered wall — always wearing full Tyvek coveralls and face mask. "It was heartbreaking to see the damage and hear the stories," she said. "I don't know if there will be any more cleanup days, but it is worth the drive. Everyone was so grateful!" In a Facebook post, Vernesa Pertell, a Conway resident helping to organize donations, thanked St. Philip's and certain St. Philippians for their efforts, including the Rev. Andrew O'Dell, Joanna and Mark Ghegan, Becky Barber, Ben Hagood, and Connie Rink. She thanked the Kerrisons for their "special delivery" and Joanna Ghegan for making things happen "without a glitch." If you are interested in helping with continuing efforts, please contact Joanna Ghegan at 843-425-2431 or gheganj@comcast.net. Pictured above: A Bucksport resident finds a perfect fit in a donated coat. As one of the most well-known tribes in Africa, the Maasai people are recognized for their rich culture, fierce independence, and respect for the earth. 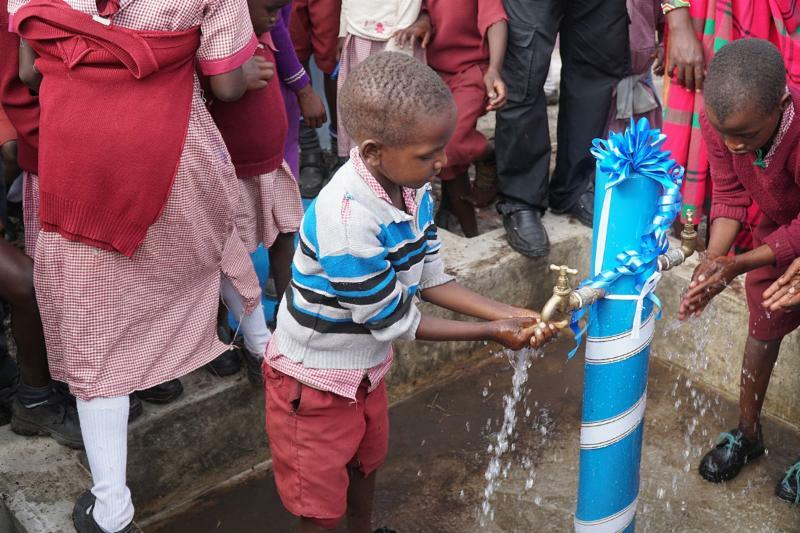 Enkereri, Kenya, is home to a vibrant community of Maasai and is also the site of a brand-new safe water system designed to last for generations to come. In this project, the importance of our community development work in ensuring long-term success of sustainable water solutions is apparent. While our engineers are creating customized designs, the community development staff are building the framework that mobilizes the community to wholeheartedly pour themselves into the safe water project that empowers those served. 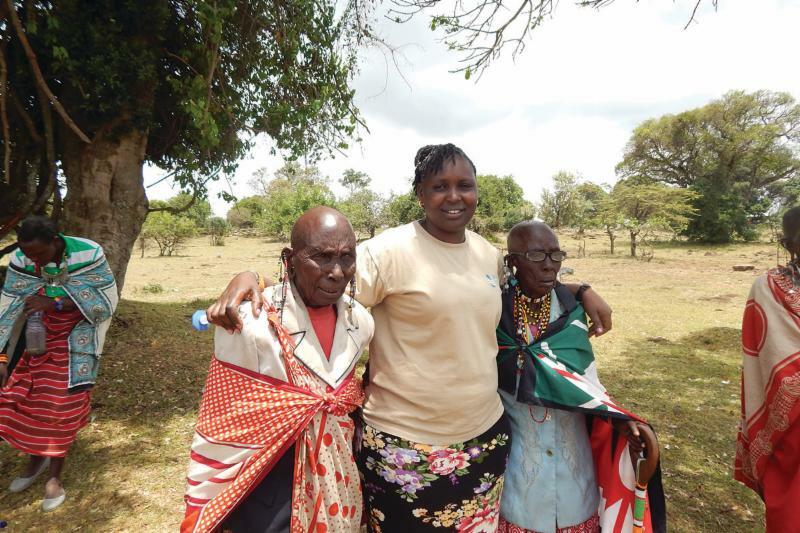 As part of our community development team in Kenya, Jackline Jebet spent several months building relationships with the Maasai people in Enkereri. Her sincere interest and love for others is a primary reason she has chosen a career in community development. She spent weeks traveling to homes in Enkereri where she shared meals, spent nights, and asked careful questions to learn about the Maasai culture and the routines of the people. Calhoun Street, between King and Meeting streets, beginning at 6 a.m. race morning. The race course, including Meeting and King south of Charlotte Street, beginning at 8:00 a.m. Meeting will reopen as the race progresses down it, while King will reopen at the conclusion of the race. Calhoun will reopen no later than noon. 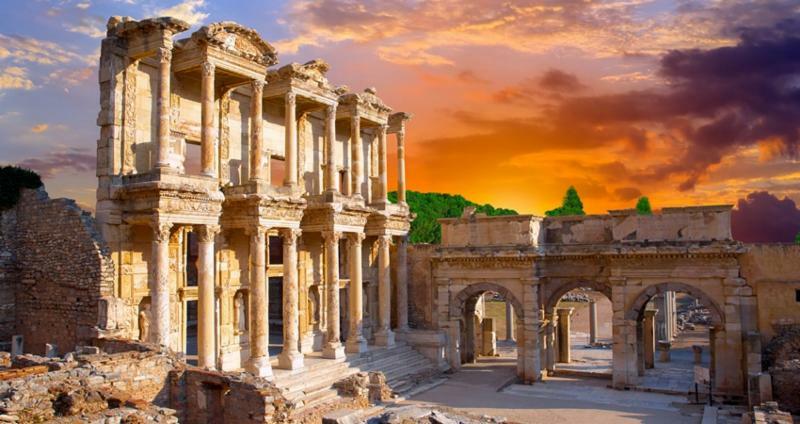 With the Reverend Jeffrey Miller leading the way, travel in the footsteps of St. Paul from Athens to the Greek Islands--and to Ephesus, of course, with other stops in between. One full group is making the journey May 28-June 7, and there is still some room in this group, although it has now been opened to the rest of the Diocese. Click below for journey details or to book. Please call Connoisseur Tours at 800-856-1045 if you have questions. The fall brochure is packed with information about this semester's offerings! You'll find descriptions of returning favorites with fresh topics, plus descriptions of new offerings. 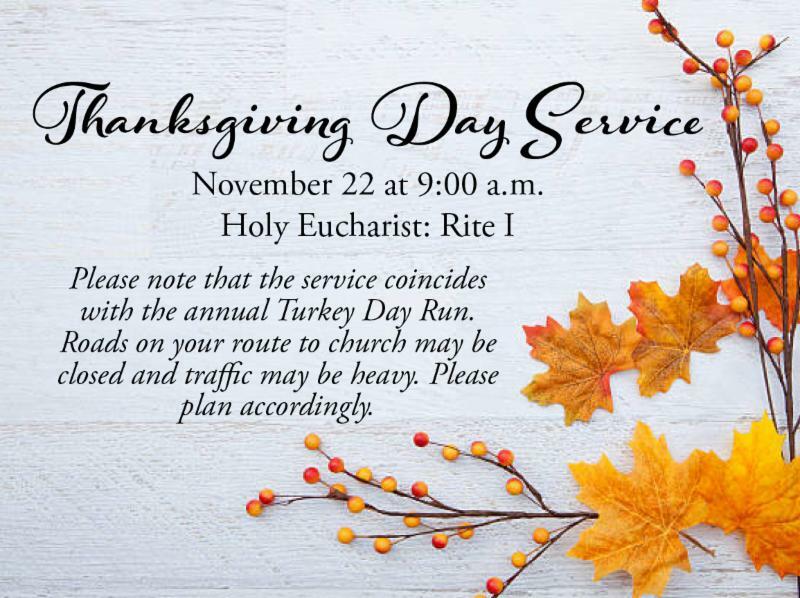 You may view the offerings online by clicking below, or you may pick up a copy in the church office or in the Narthex if you didn't receive one in the mail. Remember that all of our classes are open to anyone who'd like to join, so invite your non-St. Philippian friends and neighbors! Would you like to take another listen to Sunday's sermon? Or were you out of town and you missed it the first time? 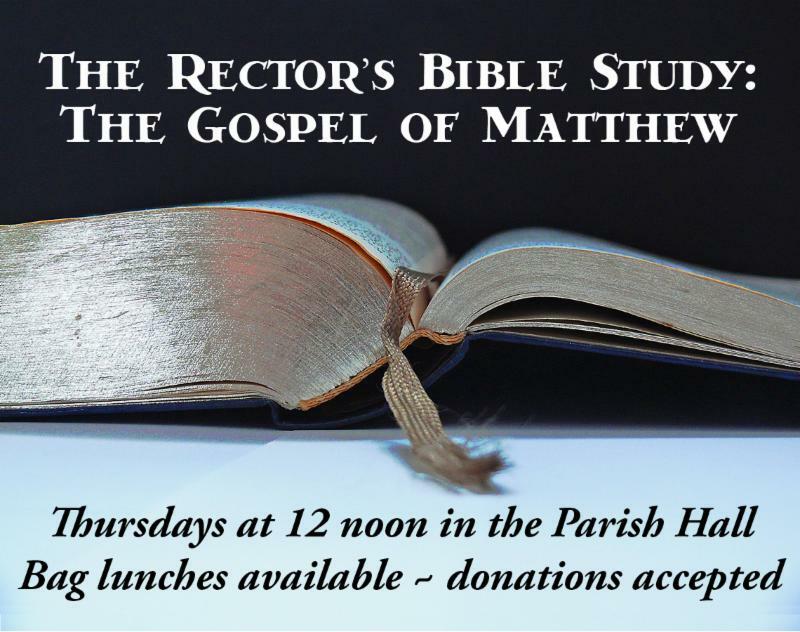 Sermons, the Rector's Forum, and more are available on our website, stphilipschurchsc.org/sermons . 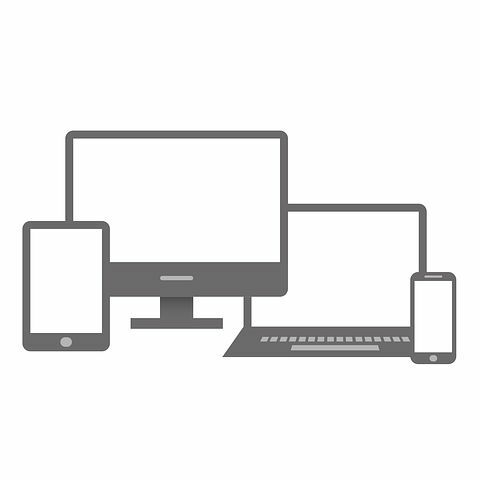 Are you looking for a fellow parishioner's contact information? Our directory is online! 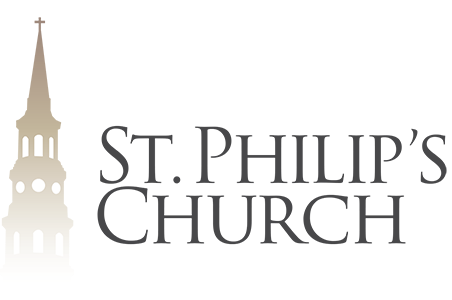 Click the "My St. Philip's" button on our homepage, stphilipschurchsc.org , to log in or sign up for an account. And for easy access on your phone, download the Church Life app! 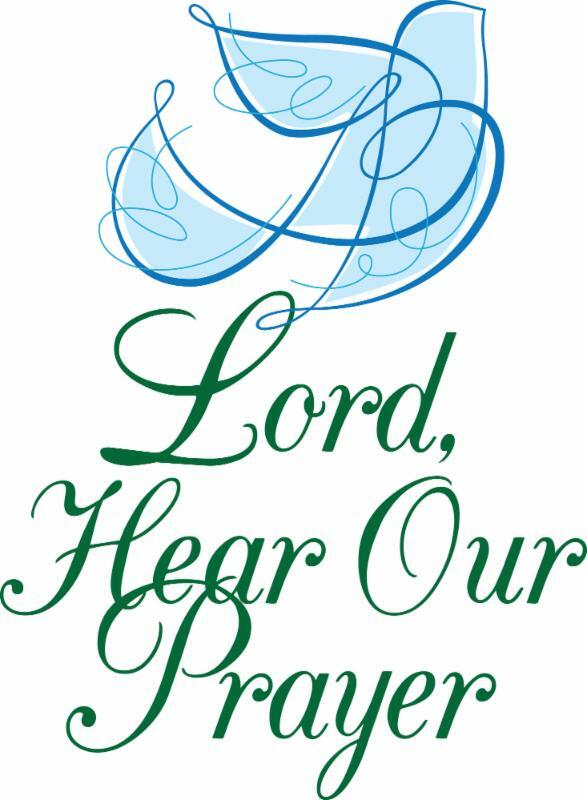 Do you have a loved one you would like added to our prayer list? 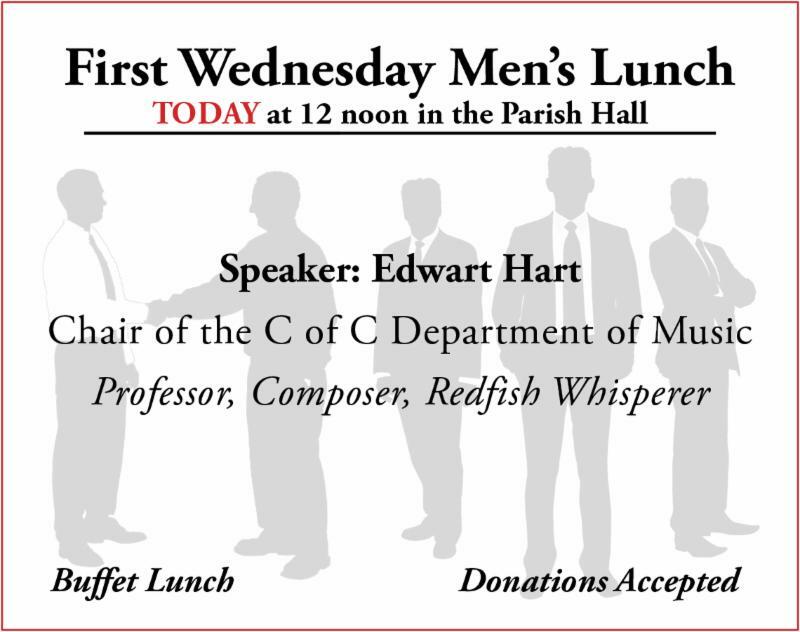 Please provide his or her name by calling the church office, 843-722-7734 . ﻿We pray for the sick: Hazel Cramer, Elizabeth Flowers, Joe Gilchrist, Tracy Graudin, Joe Livesay, Edmund Rhett, Antoon Rijswijk, Benjamin Schools, and Lindsey Wing. 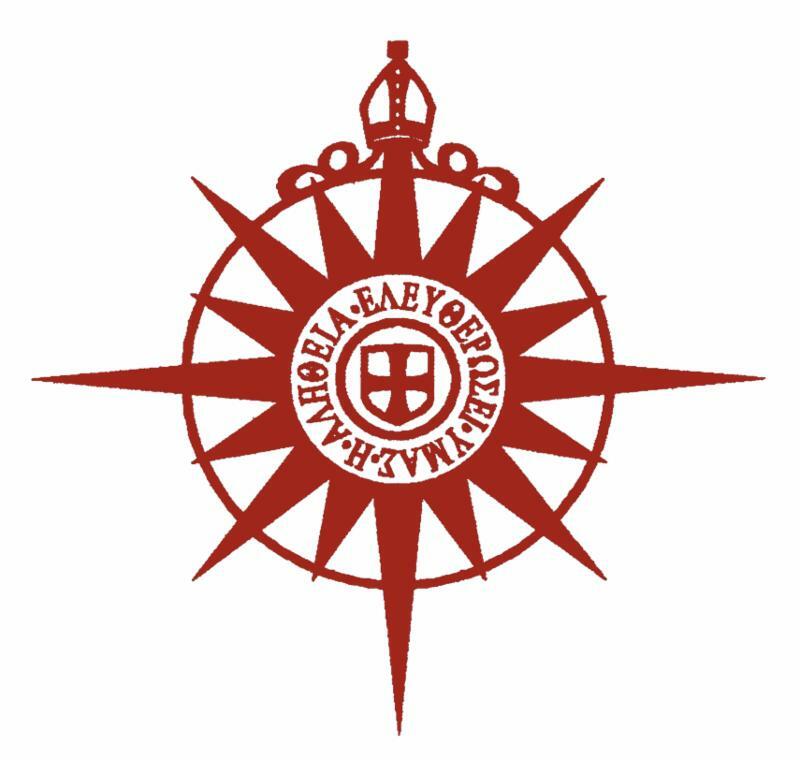 We pray for protection for: Becca, Janie, and Wills Baird, Graham Blunt, Henry Clayton, Hayes Fair, Tripp Hathaway, George Hoefer, Andrew Kane, Charles Kirkman, Bethea Long, and Edward Pritchard, serving in our Armed Forces. We pray for our world missions: For Suzy McCall and LAMB, for the medical missions to Honduras, for ministry to victims of genocide and AIDS in Rwanda, for Water Mission, and for St. Jean Baptiste, our sister church, and the schools in Haiti. 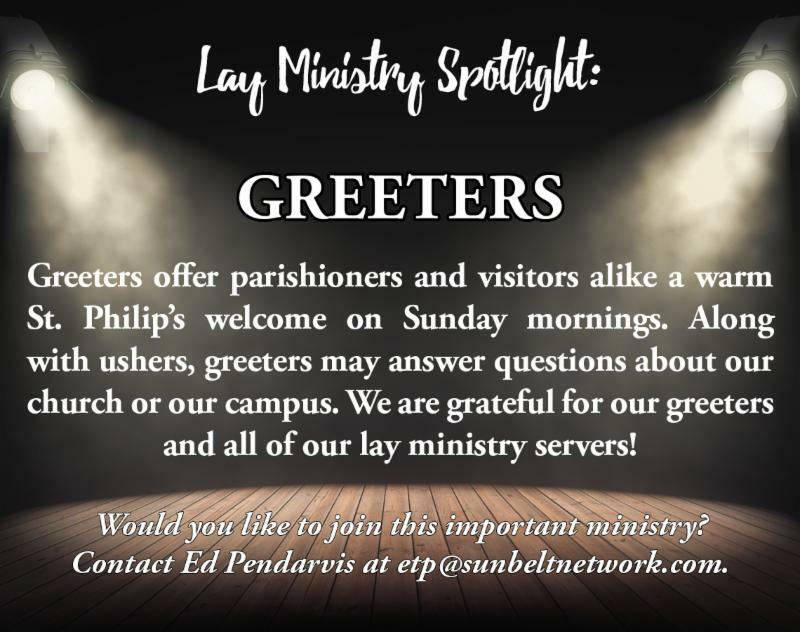 Lay server schedules are sent out quarterly, one month prior to the start of each quarter. Click HERE to view the current fall schedule. 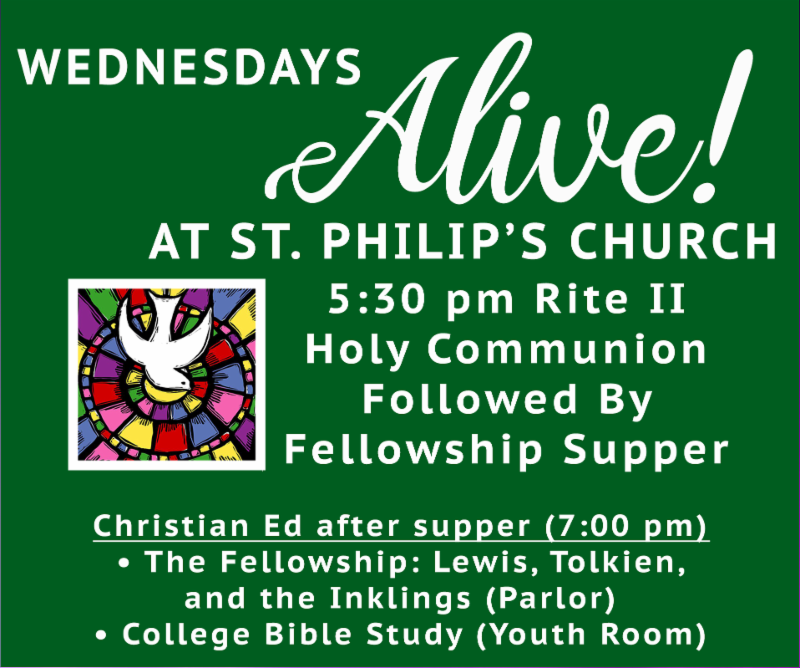 If you are unable to serve, please make an effort to find a substitute, and let Felicia Lescow in the church office know who will be substituting for you. 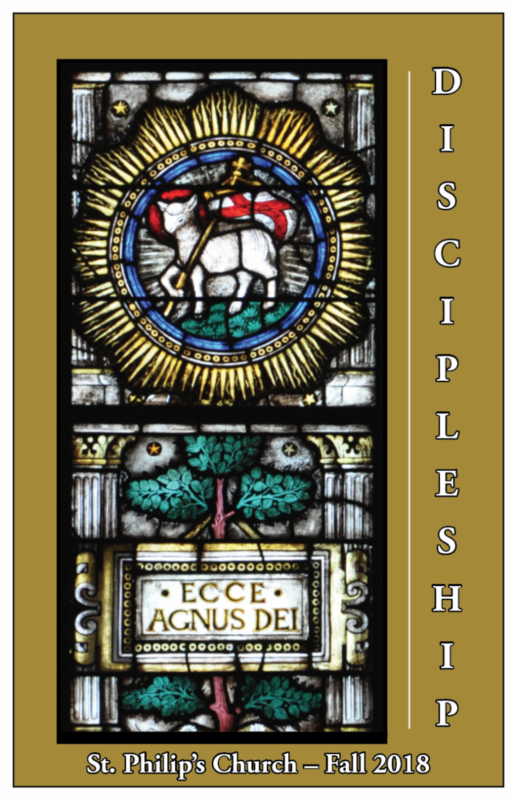 Click here to view our dynamic church calendar, which is updated daily. Click here to view this week's calendar as it appears in the printed version of the inSPIRE. 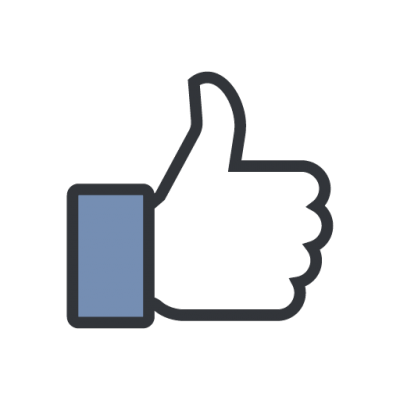 Like St. Philip's on Facebook! Click HERE if you would like to opt out of receiving the printed mailing of the newsletter each week.